Teplar, as a Business Intelligence Service Partner, offers end-to-end customized Business Intelligence (BI) solutions and services, to convert your bulk of data into real-time, analyzed and intelligent information with its skilled and talented pool of consultants. Our Data Visualization and Analysis services give a propel to your business effectiveness and encourage you to relive your current data with a state-of-the-art perception. Considered amongst the top business intelligence companies, Teplar offers comprehensive BI solutions in leading technologies like Microsoft Power BI, Tableau and Custom BI Development using Python & R Language. At Teplar, we believe a successful Business Intelligence services strategy is not just about delivering the correct information, it is about delivering the right information to the right people at the right time. Predictive analytics is the process of making predictions based on data by using data analytics. It encloses a variety of statistical techniques from data mining, predictive modelling, and machine learning, that analyze current and historical facts to make predictions about future or otherwise unknown events. Mobile BI is a system consist of both technical and organizational elements that present historical and/or real-time information to its users for view and analysis on mobile devices such as smartphones and tablets to enable effective decision-making and management support, for the overall purpose of increasing company performance. Self Service Business Intelligence (SSBI) allows employees to access and work with data analytics without the help of the programmer or technical experts. 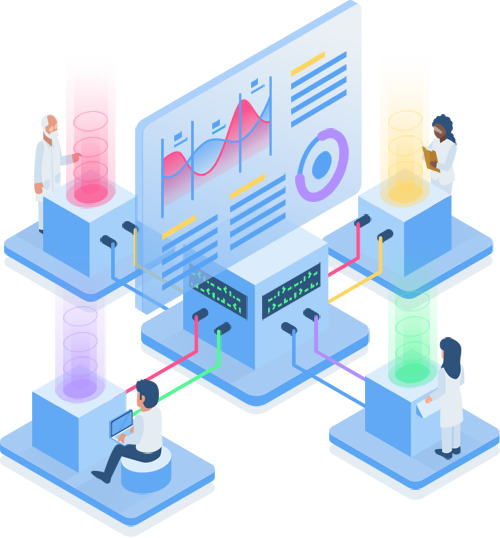 With the help of SSBI end users can create and share their own reports and analyses within an data visualization tool itself to ensure better user experience. Demand forecasting is a predicting future demands that estimates the required quantities of raw materials, amount of finished goods inventories, number of products that need to be shipped, number of people to hire, number of plants to build, right down to the number of office supplies that should be purchased. Business analytics is the practice of iterative, methodical exploration of company data, with an importance on statistical analysis. Business analytics is used by companies for the purpose of data-driven decision-making. It is used to gain insights, informed business decisions and can be used to automate and optimize your business processes. Data visualization is commonly used as a BI reporting tool. Users can set up visualization tools to generate automatic dashboards that track business performance across key performance indicators and visually explain the results. Many business departments implement data visualization software to track their performance. An Executive Dashboard is a collection of reports that provides a visual display of organizational KPIs, metrics, and data. The purpose of executive dashboards is to give CEOs an at-a-glance visibility into business performance across all plants and projects. It's easy with a combination of the right web-based software application and real-time data. Power BI is data visualization tool managed by microsoft, that transforms your company's data into rich visuals for future planning and better understanding. Tableau software aims to help executives, managers to understand business data in visual manner. Its very easy to view and share reports, dashboards with others. We are providing customized BI solutions for your corporate businesses using cutting-edge technologies like Python and R Languages. Teplar Business Intelligence (BI) services and AI-enabled live dashboards give clients mainline access to new insights and more informed decisions. Our well-defined approach to Business Intelligence Services explore deeper into each phase of the project and extracts the best of information from the bulk of data. Teplar is one of the top Business Intelligence Companies in India, we assist enterprises to give propel to their BI strategy by engaging with us, for a long run and design a joint roadmap, assuring them of maximized ROI. Why TEPLAR for BI Development? Our BI specialists are adept at providing powerful and scalable BI frameworks that can work smoothly and continuously with other 3rd party systems as well and take utmost care of your data, turning it into valuable information. We identify the privacy and security that our clients look for and the trust that they put on us. We have detailed non-disclosure agreements that can be trusted upon and signed with a common agreement. Our skilled expertise in major BI technologies like Microsoft Power BI and Tableau has been implemented and appreciated in various Enterprise BI Solutions across the globe, in various industry domains. Our successful implementation and existence in multiple countries across America, Europe, Australia, Africa, Middle East and Asia talks about our widespread experience.